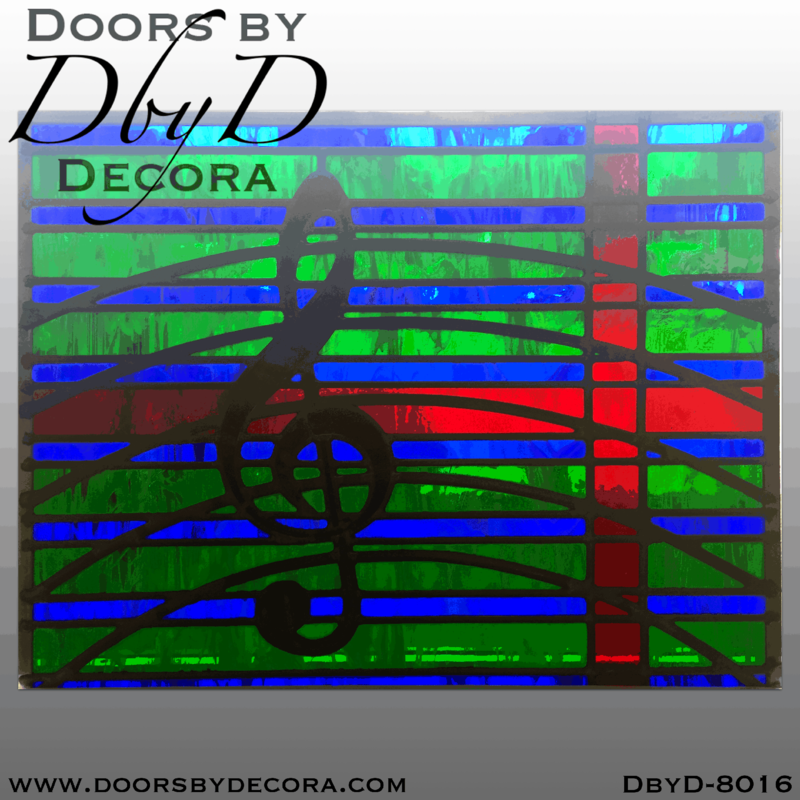 At Doors by Decora, we love to get creative! This homeowner came to us because she was looking for something special for the music room in her home. For many years, she has been a member of the Montgomery Symphony Orchestra. But that’s not where our connection with this customer ends, for several years she gave flute lessons to one of our owners, Emily Jones, while Emily was in high school. We were thrilled when she came in and told us what she wanted. She was looking for a window that would incorporate her love of music and maybe could include the colors from her husband’s family tartan. We sat down and put together a drawing that we thought would meet both of her needs! This beautiful window is 25″x 20″ and features many different colors and textures of stained glass. The homeowner sat down with us one afternoon and picked the colors and textures herself. Our staff of stained glass artisans built the window and we installed it into her home.